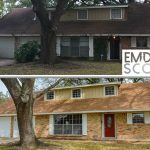 April 24, 2019 (832) 510-4508 info@emdotscott.com Call Us Today! Are you an investor? Do you get excited to find new deals, rehab them and either rent them out or sell them? If so you have come to the right place. We are investors ourselves but when deals come along that we need to pass along for whatever reason we pass them to our list of preferred investors. If you are interested in getting on our list please fill out the short form.